MASTER OF DARK SHADOWS is a comprehensive celebration of the legendary Gothic daytime series Dark Shadows and its visionary creator, Dan Curtis. The soap opera starred Jonathan Frid, David Selby, Kathryn Leigh Scott, Lara Parker, John Karlen, Nancy Barrett, Jerry Lacy, Roger Davis, Marie Wallace, Chris Pennock and James Storm, plus other colleagues and family members. 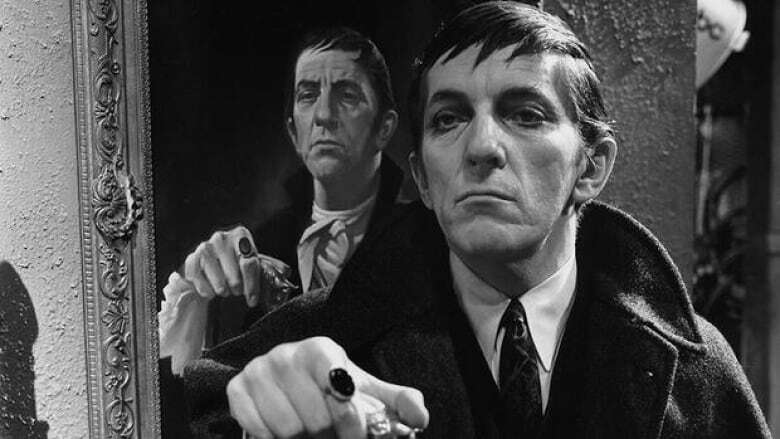 The feature documentary, which was shot in New York, LA and London, includes interviews with key actors and filmmakers involved in the undyingly popular story of vampire Barnabas Collins and all the eerie goings-on at the gloomy Maine mansion Collinwood. The documentary was directed by David Gregory. Narrated by Ian McShane, MASTER OF DARK SHADOWS offers insights from Curtis himself in addition to Oscar-winning writer-producer Alan Ball, screenwriter William F. Nolan, author Herman Wouk, veteran actors Whoopi Goldberg, Barbara Steele and Ben Cross. The front of the packaging features the artwork you see at the top of the page and the back includes movie details, some images and list of special features. The reverse sleeve features some promotional images. The Blu-ray disc also features some artwork that matches the front cover. Inserting the disc, the menu screen was simple and easy to navigate. The picture and sound quality for this high-definition release were good. I didn’t have any issues with the video and audio. Bottom line is, Master of Dark Shadows was a fascinating watch about Dan Curtis, the man behind the phenomenon that ran on ABC from June 27, 1966 to April 2, 1971. The focus stays on Dan Curtis who was the producer and master mind behind the popular series. The documentary shows how the soap opera got off to a slow start and nearly got cancelled but Curtis convinced his executive friend at ABC for a few more episodes where he decided to take a chance and introduce a supernatural element which changed things forever. This was a risky move since it was daytime television but it worked. This is when the series found its audience and became the “must see tv” of the late 60’s and early 70’s. Even after the series concluded it still found new life with a made for TV movie, fan conventions, the short-lived revival in 1991 and a big screen adaptation in 2012. Dan Curtis was very passionate about Dark Shadows but didn’t want to be labeled as “the horror guy” so he ventured out and succeeded in other genres and epic period pieces. This documentary not only features vintage interviews with Dan Curtis but the many talents, in-front-of and behind-the-scenes, who worked with him on Dark Shadows and beyond. Master of Dark Shadows will be available on Blu-ray on April 16th. Special Features: The extras include a visit to the old studio, four TV spots, vintage appearances, classic audio and video clips, the documentary trailer and multiple promos and trailers.